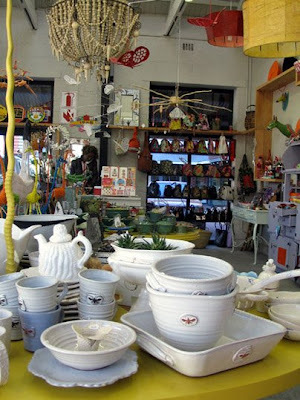 Heartworks is a beautifully curated store selling very special handmade things from all over South Africa. 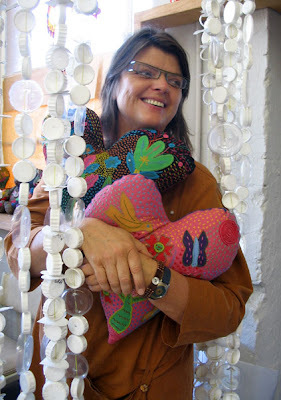 In many ways, Heartworks has pioneered South African crafts, really putting them on the map, and so I’m thrilled to be able to post this interview with Margaret Woermann, the visionary behind the three Heartworks stores in Cape Town. What is Heartworks all about? In one of my previous lives, I worked for an art dealer. It was all so serious and mysterious: this ARTWORK, what constitutes fame, who determines success etc. I was young and innocent, and I carried this innocence over into my first own endeavour, and called the business “Heartworks”. 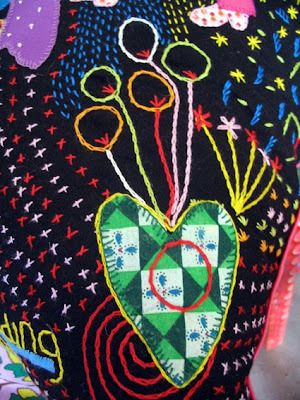 Here, my intent was that artworks would be made with the “heart”, but with the ultimate objective of feeding the belly. Over the years, I have taken this more to heart, and use my shops to give enthusiastic and dedicated, but marginalised people an opportunity to earn a living. How did Heartworks start out? 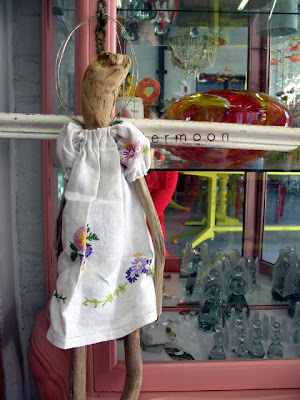 Exactly eight years ago, I very innocently opened the door my first shop at 98 Kloof Street, in Gardens, Cape Town. When I think back, I am surprised that I had such courage! I was adventurous then, travelling all over the country – stopping at roadsides, asking directions, looking for crafters for my shop. 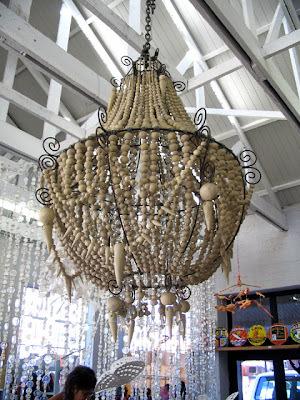 At the time,a lot of craft was produced in areas like KwaZulu Natal, Venda and the Eastern Cape, but was not being seen in Cape Town shops yet. How has your business changed since you started? 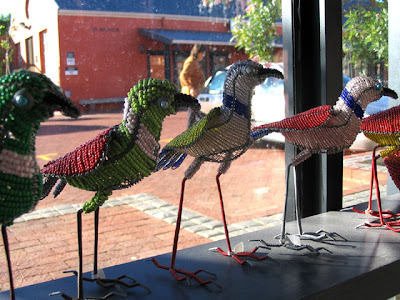 In the last 8 years there has been a remarkable and welcome change in the local craft business. 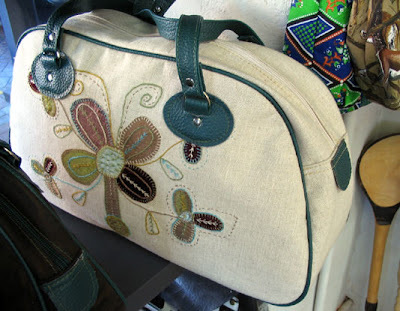 On one of my scramble-around country trips, I remember visiting SARCDA – the big local gift fair – at the old show grounds near Soweto. I visited the â€œMade in South Africaâ€ section at the end of a very cavernous hall, finding a pitiful array of tables with some unsuitable goodies. Although I am all for blurring the boundaries of the definition of “South African craft”, Iâ€™m not sure that baking a cake should fall into that category! 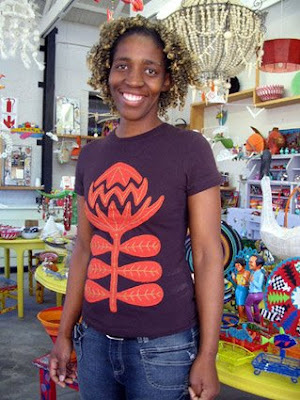 More recently this has changed, and funding has enabled remote and obscure crafters to show their work both locally and internationally, with opportunities ranging from the Design Indaba, to our First Lady, Mrs Mbeki, hosting crafters at her home. This has resulted in a whole host of shops stocking similar items, and there are less secrets. My shop has changed quite a bit over time – and actually, there are now three shops! Heartworks tends to reflect a bit where I am in my own life, and right now Iâ€™m on a quest to find new purpose for items that are dear to me. Iâ€™m finding ways of lowering the input costs, while still creating a Wow! object. 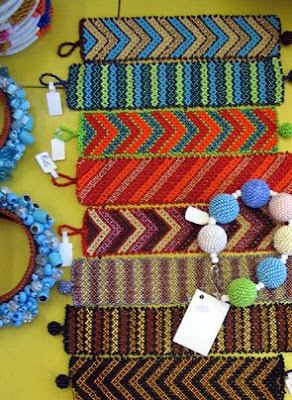 Fortunately for my business, the trend of the handmade is keeping many people busy, and my shop full. A typical day – whatâ€™s that? The big advantage of doing my own thing is that no day is the same. I have an idea what I need to accomplish for the week, and then I zigzag between all these to-do’s in my own time, punctuated by appointments that need to be kept. 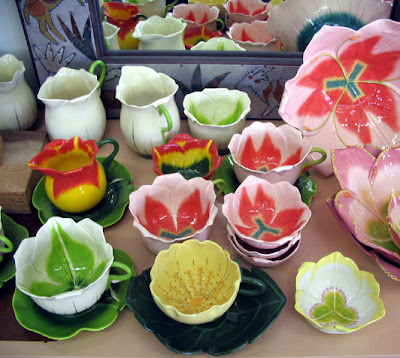 So I meet with crafters who want to sell their work, visit the ladies doing embroidery in my Biscuit Mill store, suggesting a small change here or there, and I also find the time to walk my dogs, to pinch a little vessel from porcelain, and to look at the plants in my garden growing slowly. What have been the highlights of being the owner of Heartworks? Certainly, itâ€™s made me discover that I am creative as well. I once had this illusion that I canâ€™t do much and am not talented enough, but that bubble has long been burst. And even if I do not yet have the time to paint big pictures or make crazy sculptures, I always (within reason) have time to sit with someone, and help them discover something new about their skills. And what are the tough bits? Having to say “no”. Thatâ€™s not easy. Also, the very cyclical part of the business. Every year I learn again that winter is winter, but there will again be a summer, when paying the rent will be that much easier. Do you have any dreams for Heartworks that youâ€™d like to share with us? Of course we all have dreams, otherwise I would not still be doing it. 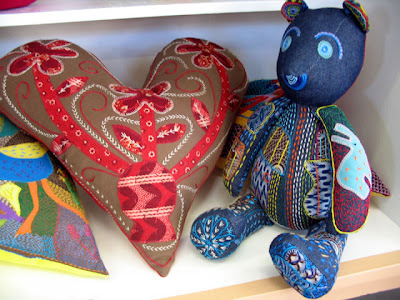 So maybe the plastic pig will fly, the beaded lizard whisper into my ear sweet nothingsâ€¦ I breathe out patiently words of encouragement, and into my lap falls some money that can take care of all the embroidery magic that rushes through my mind. my spur-of-the-moment ideas and humour (and often the lack of it). Also, many thanks to wonderful customers who buy goodies despite the absence of swingtags and labels. Heartworks is a slow and long adventure for me. Every now and again itâ€™s interrupted by the yearning to only do ceramics, or paint or just to sit and think, but still the journey continues. Thanks so much, Margaret! 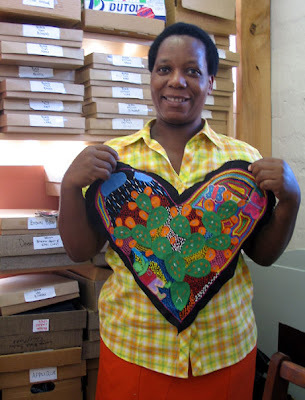 Read more about Heartworks over at Bloesem today!